Torch-on roofing provides added strength and resistance to flat and low sloped roofs, with an average life expectancy of 20+ years. It is an important and common commercial roofing solution, especially considering that most commercial roof tops in Vancouver are flat, or nearly flat. Choosing the right company to install your modified bitumen or torch on roofing, is the only way to reduce the risk of costly replacement. Repairs are easy and cost effective. Speed and ease of installation. Making a decision about a company to handle your Torch-on Roofing needs is difficult. 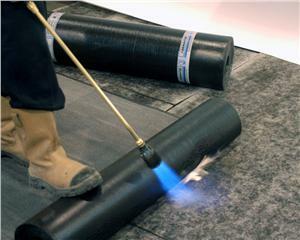 Why not trust the company your neighbours have been trusting for Torch-on Roofing since 1986?